Mir Jalaleddin Kazzazi, a Persian literature professor and a Shahnameh expert, says Ferdowsi’s Shahnameh explains a type of unconscious which has its roots in the lineage of the Iranians. 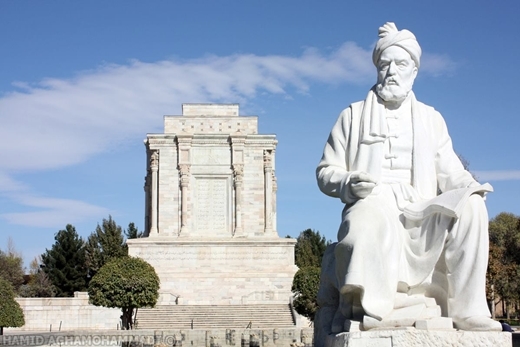 Mir Jalaleddin Kazzazi, an outstanding master of Persian literature who is known for his works on Shahnameh [The Book of Kings] – Ferdowsi’s long epic poem – has said that Shahnameh shows the unconscious of the Iranians which is part of their lineage. The myths of different lands are not mere fantasies with untraceable background. If we want to properly learn about a nation, we can do nothing but to dig up that nation’s ancient myths. Through studying the myths, people can psychoanalyze history. It is history which tells about the conscious and traditional methods, but people’s unconscious can be traced back to their myths. Myths make up people’s internal history and their broad, institutionalized unconscious. Based on what Carl Gustav Jung [a Swiss psychiatrist and psychotherapist who founded analytical psychology] says, unconscious falls into different groups: individual, collective and universal. The genealogical unconscious can be defined as individual and universal subconscious [or psyche]. The nature of Iranians’ has been based on genealogical unconscious. Myths come from genealogical and collective unconscious. They are not created overnight. Millenniums should pass before a mythical symbol is created. M. J. Kazzazi, who is a professor of literature at Allameh Tabatabaei University, is also a renowned expert in Iranology. He was named a Memorable Figure in 2005 for his contribution to Persian culture and literature.